I was impressed by some of the speakers, less so by others – the stand out talks for me were Russell Willis-Taylor, Kully Thiari and Joy Mboya, although my absolute favourite moment of the conference was Luke Wright’s poetry – there are videos of all the talks on the No Boundaries website and I would urge you to check that out if nothing else! The real selling point of the conference for me though was the open sessions – delegate-led debates & discussions on topics chosen by the attendees. This sounded like a great idea to me because, as the organisers rightly pointed out, “at most conferences the audience are as smart as the people on stage”. In practice, I only popped my head round the door of one session and decided I’d rather hear the speakers that were on at the time, but it was good to have the choice even if it didn’t really work for me. One thing that I hadn’t expected was to turn up on the second day and be presented with a real live book detailing yesterday’s events and people’s reactions! The little book was created by Book Kernel. All in all, I had a fantastic, inspiring and exhausting 2 days and feel very lucky to have had the experience. 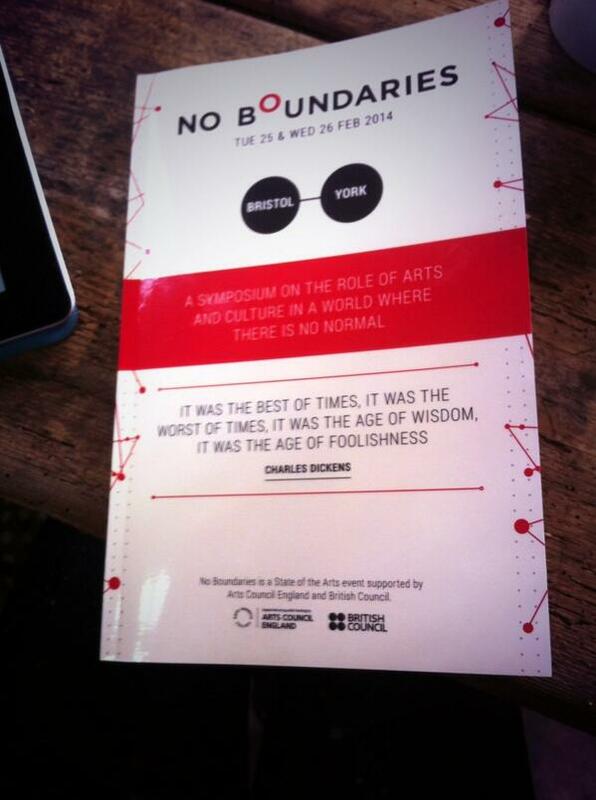 Once again, a massive thanks to No Boundaries for funding my ticket!